A link to an unpublished copy of the 213-page decision was made available by the Federal Register yesterday, and can be read here. USDA's Agricultural Marketing Service will hold an informational meeting to explain the proposed rule on Feb. 22 in Clovis, Calif. The meeting will be broadcast live via webcast. "Regulated minimum prices, especially for milk used in cheese manufacturing, are likely to be higher than what handlers would pay under the [California State Order]. However, pooling regulations under the proposed FMMO would allow handlers to elect not to pool milk used in manufacturing. This option would be available to both large and small manufacturing handlers." ‚Ä¢ Quota. 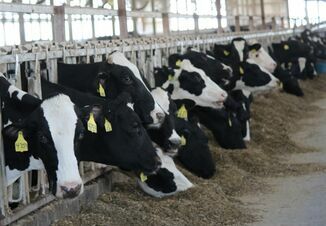 "Under the recommended FMMO, regulated handlers would be allowed to deduct monies, in an amount determined and announced by CDFA, from blend prices paid to California dairy farmers for pooled milk and send those monies to CDFA to administer the quota program." 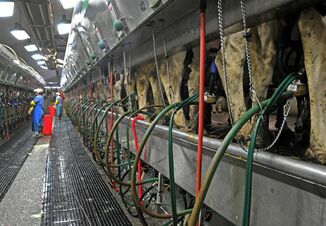 "If California handlers elect to continue processing out-of-state milk into Class I products under the FMMO, they would be required to pay the order's classified minimum price for that milk. Those additional revenues would be pooled and would benefit large and small producers who participate in the pool. 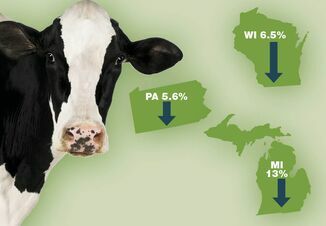 Both large and small out-of-state producers who ship milk to pool plants in California would receive the California FMMO uniform blend price for their milk." What Will it Take to Get Rid of Bovine TB?